Smoking is the leading cause of preventable death and disease, including cancer, in the developed world. 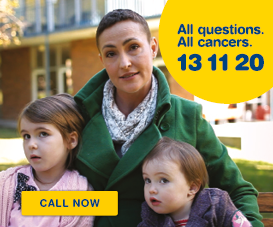 In Australia, smoking causes around one in five cancer deaths, which includes more than 3400 deaths in Queensland each year. If you are a smoker, you should quit. There is no safe level of tobacco use and your smoking may harm others. There are many benefits to quitting smoking. Research indicates that quitting smoking, even after a cancer diagnosis, can increase your life expectancy. Smoking is addictive and many smokers find quitting difficult. Seek support and don’t be discouraged if it takes several attempts before you are able to quit for good. Learn more about what to expect after quitting, including coping with withdrawal symptoms. Set a quit date so you can become mentally ready to become a non-smoker – record your smoking behaviour in the few weeks leading up so you have a better understanding of how many cigarettes you smoke and what your triggers and habits are. Write down your reasons for quitting – keep these in your wallet and refer to them when you have strong cravings. Stay busy – occupy yourself with a task when a craving strikes. Get rid of anything that might make you want to smoke – throw away cigarettes, lighters and ashtrays in your home. If you smoke, you may be harming those around you through the smoke you exhale. This is known as second-hand or passive smoke. If you do not smoke, but spend time in the close company of smokers, you still have an increased risk of cancer. There is no safe level of tobacco smoke exposure. Babies and children are particularly susceptible to the health effects of passive smoking, as their lungs and immune systems are still developing. To protect your family, keep your home and car smoke-free. 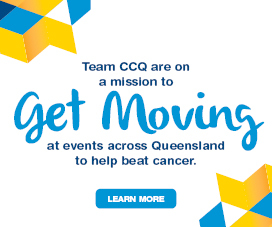 Cancer Council Queensland has worked with the Queensland Government to introduce some of the toughest anti-smoking laws in Australia. Find out more about smoking legislation. Smoke-drift in multi-unit housing is a common complaint of residents that are exposed to smoke from a neighbouring unit. Find out more in our information sheets. 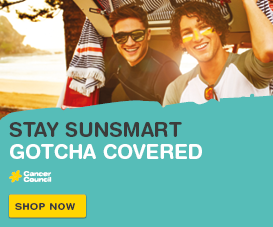 You can also visit Cancer Council’s cut your cancer risk website.